Taken by Mhairi. All rights reserved. If you choose the routes objectively, more than half the routes must be in Scotland [whereas the proposed list does not contain so many routes in Scotland]. I haven't got an enough experience to evaluate her/his statement. 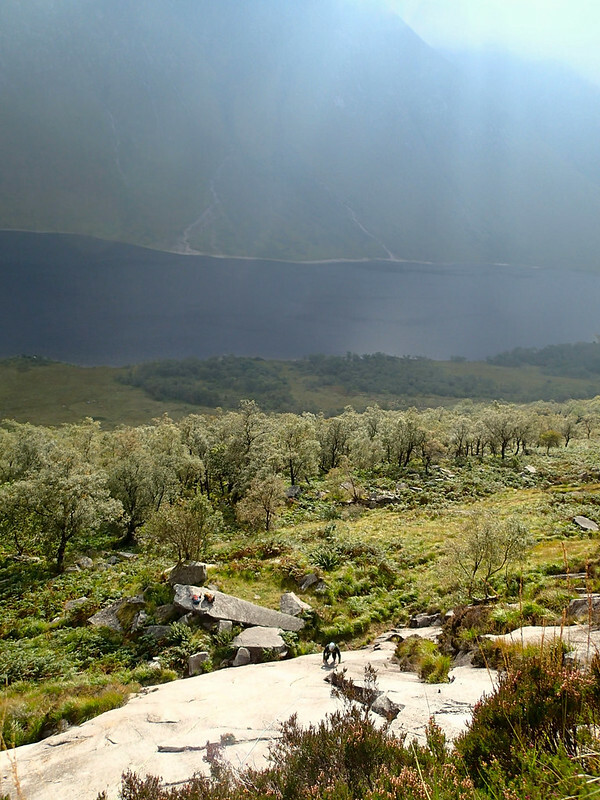 However, given how vast the Scottish wilderness is, how massive and tall many crags are, how many routes are in Scotland, yet how underexplored they have been, how few people have climbed Scottish routes, compared to the popular and mostly accessible crags in the south of the border, it is perfectly believable to me. 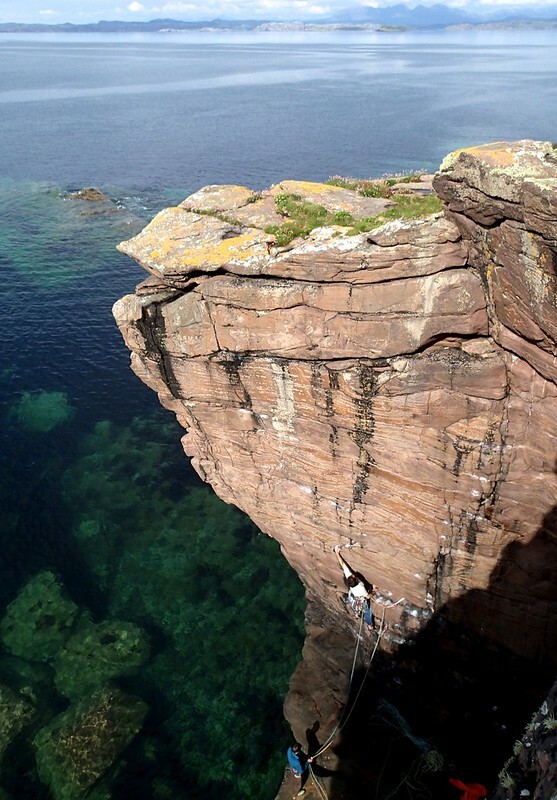 This summer has been the first season for me to properly explore Scottish rock routes and I have climbed one of the best routes at each grade in my personal history so many times, which was well worth the last few years in England and Wales combined. Admittedly I could choose only the best of best routes every time I visited a new crag, which can be a bias. Nevertheless I can't help admiring at their superb quality. There is usually no one else in the crag, except for the most popular road-side crags. Even for the latter you see a couple of other parties at most for crags with the size of Ramshaw, Wildcat Crag and alike. The scenery is stunning in many places. 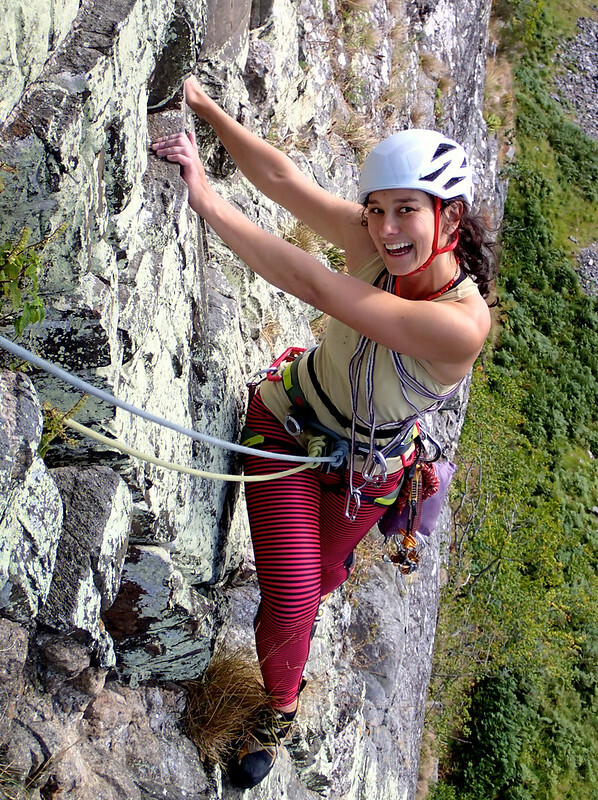 Combined with the point 1, if you want a climbing experience in wilderness, look no further! The routes can be very long, in which you need a discipline of mountaineering. No polish! No chalk mark. One day, before I climbed with a friend, who is happy to second E1s in general, she had asked me to choose either short E1s or lower-grade routes if long. What she meant short was less than 150 metres. That tells something about Scottish climbing?! The following is the brief(?) summary (based on my rather scant experience, combined with studies of guidebooks and rumour) of a part of what Scotland offers in trad climbing. I hope you get a rough idea and fancy travelling up to beautiful Scotland! Sea-cliffs in Pabbay and Mingulay — uninhabited islands in Outer Hebrides. Definitely. Many people, who have visited the islands, agree they are the best trad venue in the country, though a couple of my friends argue Fairhead (in Northern Ireland) rivals them. 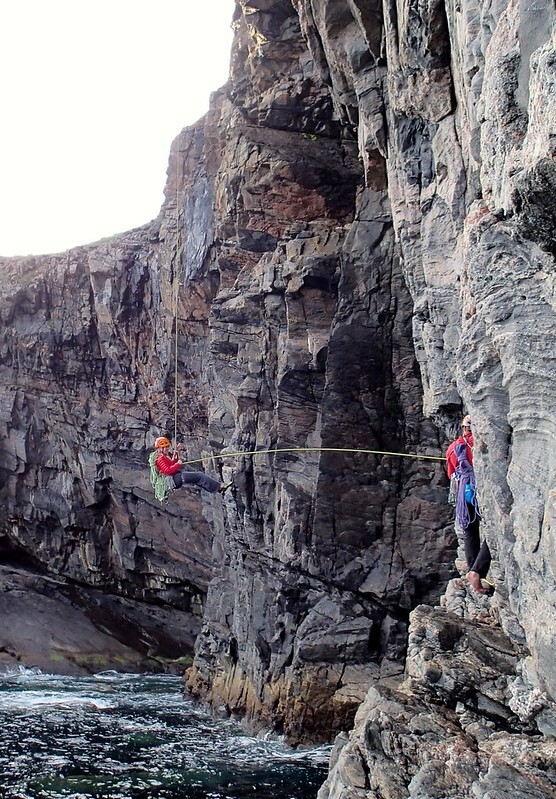 A 100m abseil rope comes in handy in many crags (which tells you a scale?). 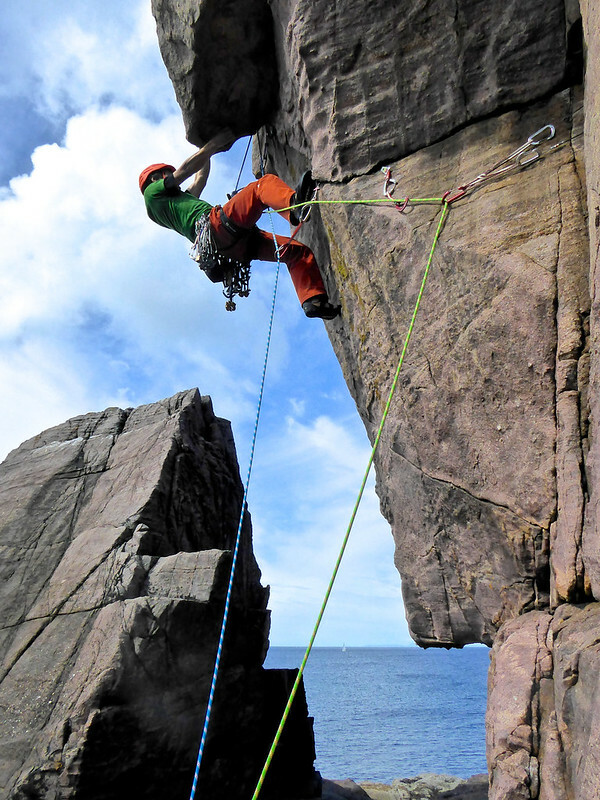 Isle of Lewis is allegedly very good, too, with the same rock type with the most routes being shorter up to 2 pitches (except those in inland, the longest of which is over 300 metres). Lewis is a lot more accessible than Pabbay, as regular ferry service is available. Shelterstone is equally good with the routes like The Needle (E1) and The Steeple (E2) for over 250m. My mate said the penultimate pitch of The Needle was the best pitch he had ever climbed anywhere, and indeed it was brilliant. Also, Glencoe offers some good climbing in slightly less remote settings. 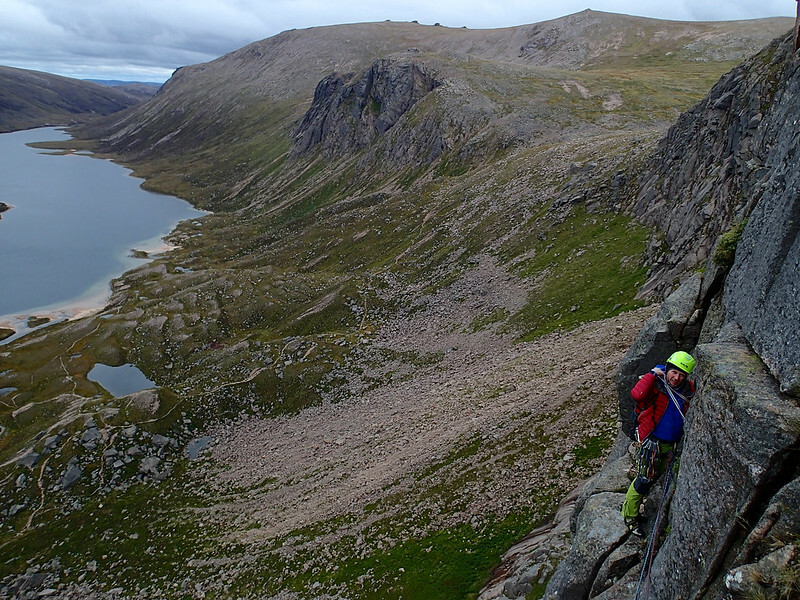 Chasm (450m VS) is the longest route at the grade in the country, and Crowberry Traverse is even longer (1000m, Mod). Allegedly Shibolleth (150m E2) rivals The Steeple. Less convenient to get to, Isle of Arran is said to be akin to Highlands. A'Chir Ridge Traverse (1500m (1.5km!) Mod), Sou'wester Slabs (190m VDiff), South Ridge Direct (330m VS), West Flank Route (155m E1) are allegedly all top quality. Note the season for those high-mountain routes tend to be short, a bit like Cloggy. Between June and September at most. Etive Slabs (Beinn Trilleachan) in Glen Etive are the must. It is a very unique place in the entire country. Ultimately steady and never-ending climbing on the smooth granite sometimes far above the last gear provides an eerie atmosphere and may be of interest for the keen. Hammer (150m HVS), The Long Reach (220m E1/2), The Pinch Superdirect (215m E3) are the most famous among many. Note that Hammer is listed as one of "The Five Best HVS Routes in the UK?" in the UKC. The most popular in the UKC logbook is Spartan Slab (210m VS), but it lacks of an eerie feeling, as it is well protected! A word of caution is to watch out for route-finding on the blank slab. 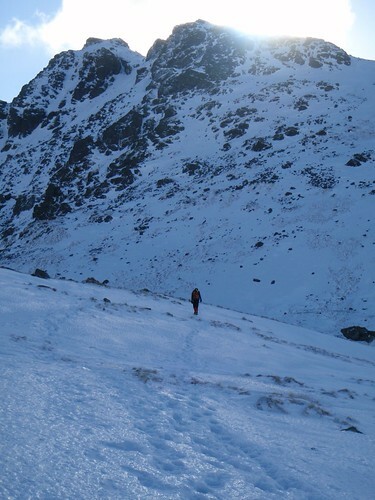 Allegedly going off-route is common on the featureless Etive Slabs. I wasn't an exception, and had an hair-raising time to commit to a series of 5c moves 15m above the last gear… My mate then ran up in seconding on the correct line; he didn't have to follow my line (which was a part of an E7 route, as found later), because there was no gear for him to retrieve, and yelled at me he found hold after hold, gear after gear. Thanks. look for Torridonean sandstone. It is a hard sandstone very similar to grit stone but without polish or other climbers! Some argue the rock quality is even better than grit. You should give it a go and find it out by yourself. the crags like Ardmair, Seana Mheallan, Reiff Sea-cliffs are all good. Note single-pitching in Scotland often means 30m, as opposed to 10m in Peak Grit. Ardmair tests your (hand) jamming skill, Seana Mheallan's The Torridonean is as good as (or better than?) Goliath's Groove in Stanage, but is longer and harder (E3). Also, you can enjoy "gritstone" multi-pitching! It would be a dream in Peak, as there are so few of them in Peak Grit (I think a few routes in Hen Cloud are the only proper grit multipitch, though Valkyrie(s) and a few more are usually done in multi-pitch, due to their weaving lines). Beinn Eighe is the most massive with the routes like Central Buttress (270m Severe or VS, depending on the branch). Stac Pollaidh is another good venue. Jack the Ripper (80m E1) there was selected as one of the "10 best mid-grade routes in Europe worth travelling to" in the recent UKC article! that is, good friction on sound rock with more features than gritstone, you should look for Lewisian gneiss. Indeed I think it is a rock for climbers with many natural incut holds! As the name suggests, Outer Hebrides are the home of it, but some crags in North-West Highlands like Diabaig are in gneiss. well, there are far too many to choose from, and my experience is far too limited. Obviously Outer Hebrides are excellent. Other than that, I can definitely recommend Kilt Rock in Isle of Skye. 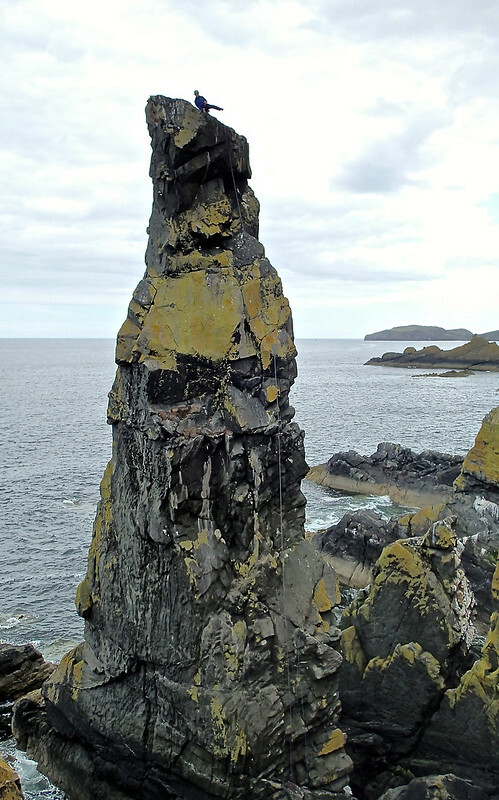 It's such an eye-catching and unique formation of the rock — only Blackchurch and Lower Sharpnose would rival in my (limited) experience. The climbing is at the absolute top quality, too, like Grey Panther (E1) and Internationale (E2), both of which are one of the best routes I have ever climbed at the respectable grades. There's a popular view point of Kilt Rock for tourists, but it is 1km away, so it wouldn't bother you climber. The closest from the south is I think The Souter in Scottish Border. 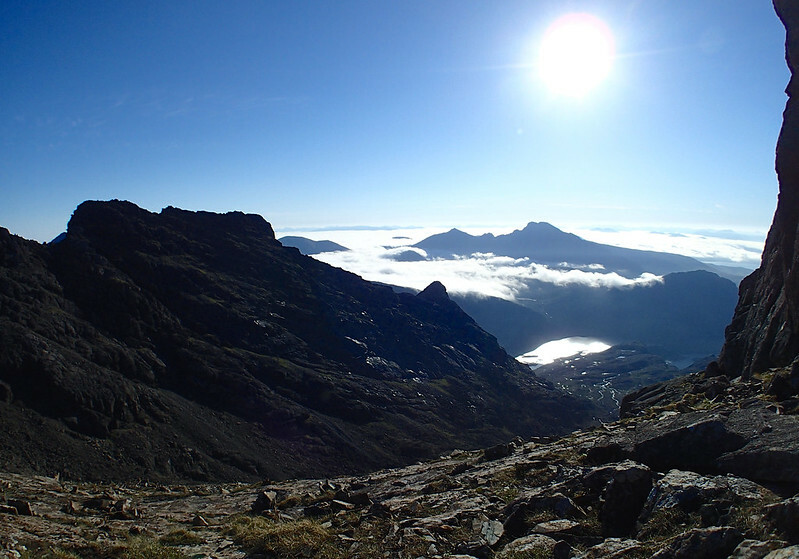 Cuillin Ridge Traverse in Isle of Skye is the king. Full stop. 12km long, 3000m ascent, up to VDiff (or Diff if the crux is avoided). In the main land, Aonach Eagach (4km, Scrambling grade 2) is the most famous among the scrambling-graded routes. 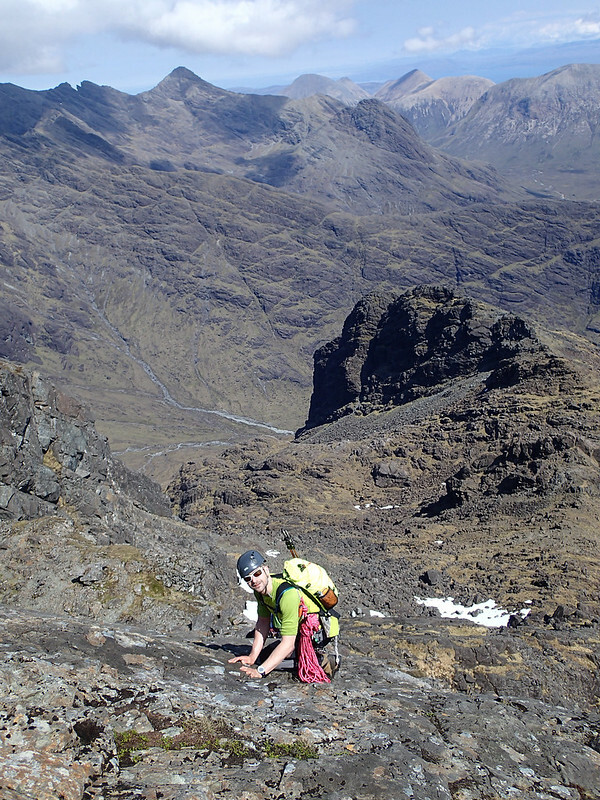 There are many other routes at scrambling to easy-grade climbing like Tower Ridge, literally all over Scotland! the first choice would be North-West Highlands. When a friend of mine visited Torridon for the first time, he said This makes Glen Coe look like a back-garden… , and I think he is right! Obviously it is a longer drive from the south to get there, but it is worth it! Or, southern Cairngorms can well be as good, as long as you are up for 4 hours walk-in (there are a few bothies). The Talisman (100m, Creagan a' Choire Etchachan, Cairngorms). Mitre Ridge (220m, Garbh Choire, Cairngorms). It may be the good grade to start with for gritstone VS climbers for committed multi-pitch routes in remote locations? 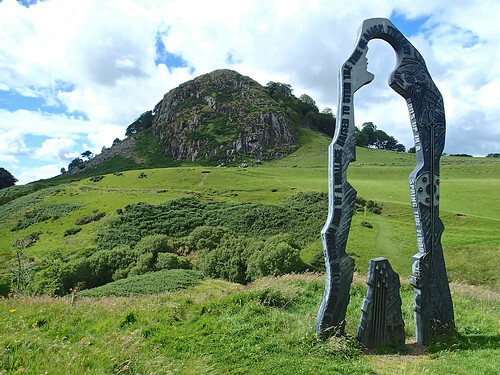 the crags scattered in Central Belt (between or around Glasgow and Edinburgh) offer many single-pitch routes. Some of the routes are quality, though it is arguable whether it is worth a travel from the south all the way for their sake. Similarly, Dumfries and Galloway provides some good, if short-ish, climbing. Up in north, the sea-cliffs in Aberdeen coasts are often dry when everywhere else is wet, and they are often climbable even in the middle of winter. Yes, many many others! 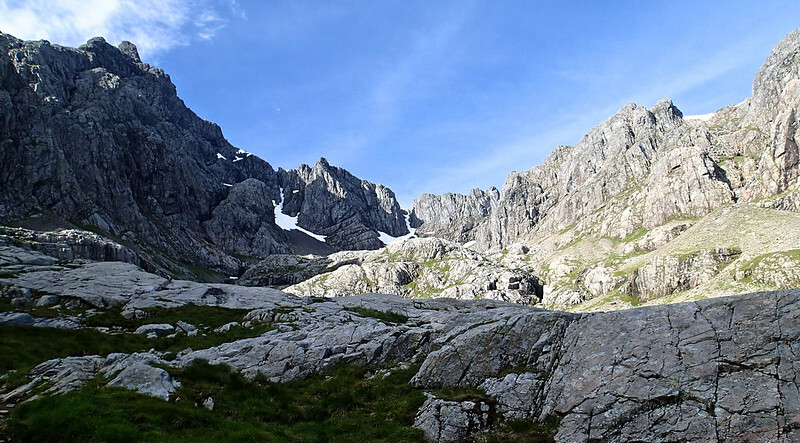 From the south, The Cobbler is relatively close and is a good place for both walkers and climbers. It being not a munroe gets an extra point (less walkers! ), whereas the scenery is spectacular. Cubby's famous picture of Dave MacLeod's ascent of Dalriada (E7) immortalised its status (the cover photo in a couple of books, like "The Great Mountain Crags of Scotland"). 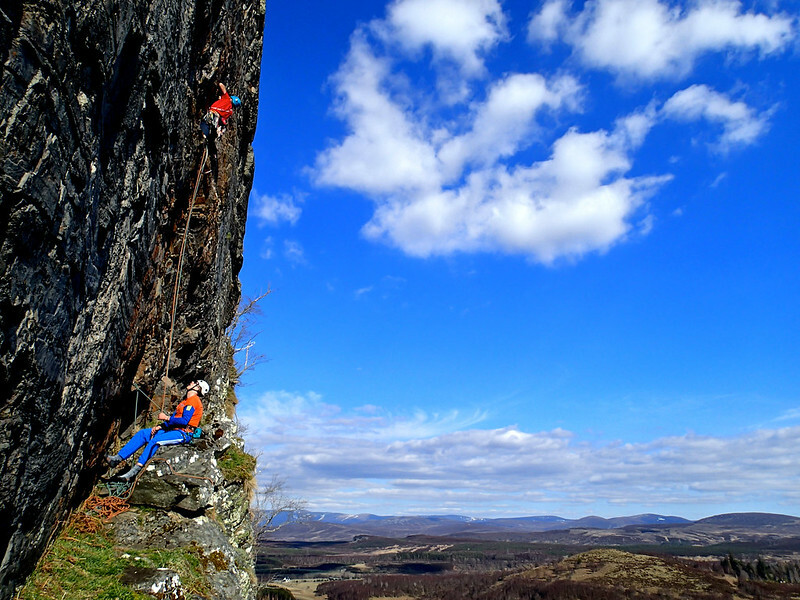 There are several or more road-side multi-pitch crags in Scotland, such as, Creag Dubh; they are a bit like Tremadog but without crowd (or cafe). Shetland is allegedly pretty good, though very few venture due to remoteness. And last but not least, St Kilda is a special place, boasting the highest sea-cliff in the country (or maybe Europe? ), as scaled by Dave MacLeod and Tim Emmett in 2010, though access is (very) problematic, both in the cost and permission. Now, why don't you take your pick and explore the great Scottish rock?! All the photos unless otherwise mentioned in the caption were taken by Masa Sakano and are under the license of Creative Commons Attribution Share-Alike.